The Witch Trials Tercentenary Memorial commemorates the 20 innocent people who were put to death in Salem in 1692. The Memorial is Salem's most eloquent evocation of the witchcraft tragedy—silently testifying to the power of landscape to touch our minds, emotions and values. Halvorson Design joined Jim Cutler and Maggie Smith, whose concept for the memorial won an international competition, to provide landscape architectural input and construction supervision. 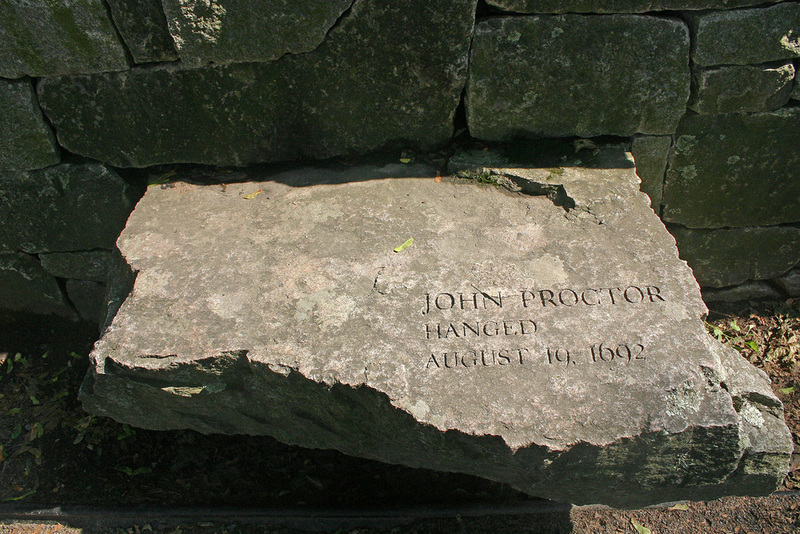 Around a simple grass space, 20 granite slabs extend from a dry-laid wall; on each, the name of a victim and the date and manner of his or her execution.